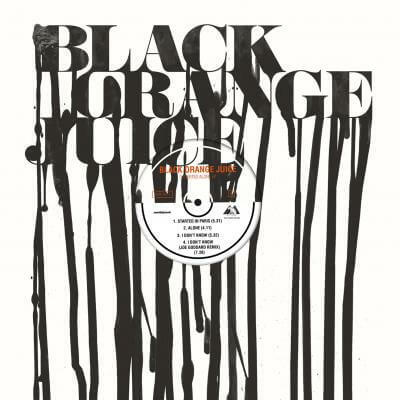 Together, Ossie, Paul Black and Tilz are Black Orange Juice, exciting new faces in the ever-fertile and innovative forefront of UK dance music. The faultless beats come courtesy of Ossie (Hyperdub, 20/20 Vision), one of the most talked-about breaking UK producers, this time exposing classic Chicago house and disco influences, as well as his own trademark visionary flare for twisted, broken LDN R&B. The propulsive kicks and goose-bump synths provide a backdrop for his best friends’ Paul Black and Tilz to take centre stage as two distinctive new UK soul voices. They arrive on an unstoppable musical mission with the ‘3 Started Alone’ EP for the formidable and diverse NYC label family that is True Panther Sounds (King Krule, Girls, Delorean, Hyetal, Glasser). The sound of BOJ is rooted in a lifetime of music together, the sound of three childhood comrades that have grown up as a creative unit. From classic shy first steps harmonizing in the halls of their Roman Catholic comprehensive in East Ham, to after-school sessions fawning over their dad’s Marvin, Luther and Chic vinyls, to maiden clubbing voyages together at house nights with DJing older cousins, the boys began to flex their musical muscles as one. “We were those three kids that were just into music at school, it’s literally all we cared about. So that’s what we did every day,” remembers Ossie.